These dogs are smart and energetic — just make sure you have the time to exercise them properly so they don’t become destructive. 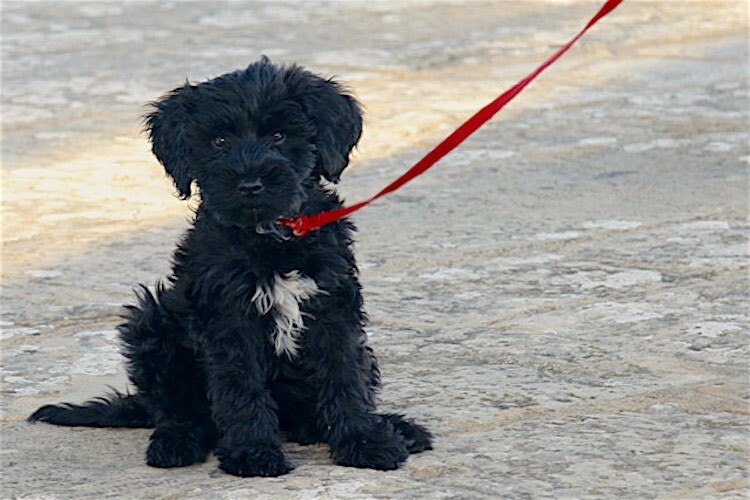 The Portuguese Water Dog (PWD) has a straight topline, a broad and domed head that’s slightly longer than its muzzle, and a muzzle with a straight and well-defined stop. They have round, dark eyes, and their heart-shaped ears are set high with a slight hang. The PWD is an energetic dog of medium size with webbed feet that aid in swimming. The coat can be either curly or wavy. Colors include black, shades of brown and white, and the breed is noted for having a no-shed and hypoallergenic coat. The tail is thick at the base and tapers. When the dog is at attention, the tail curves into a ring. 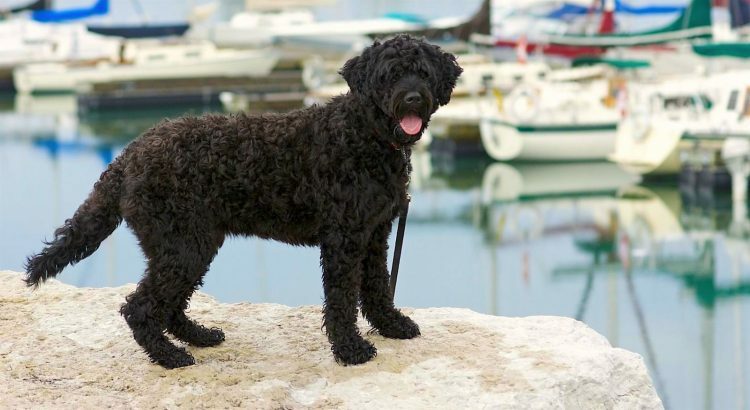 Portuguese Water Dogs have been used by fishermen along Portugal’s coastline for centuries to retrieve broken nets, herd schools of fish, and even deliver messages between boats and the shore. Clark adds that the Portuguese Water Dog may be related to the poodle, which was introduced by the Goths — kindred to the Visigoths. By the 1930s, technology had replaced the dogs in performing water-based tasks, and the breed number declined. Vasco Bensaude, a wealthy Portuguese man, started a breeding program to save the breed, increasing PWD numbers considerably. In 1958, the first pair of Portuguese Water Dogs was imported into the United States, and in 1972, the Portuguese Water Dog Club of America was formed. The American Kennel Club formally recognized the breed in 1983. PWDs are known as loyal, hardworking dogs who are usually good with children and other pets. Again, this breed is super smart. The dogs are capable of “outthinking” their humans and will take advantage of lapses in authority. They are sensitive to tone of voice, so keep calm during training. They also have a keen sense of smell and make excellent watchdogs. The PWD is exceptionally loyal and almost tireless — which means yours will need plenty of exercise to stimulate their mind and burn off some of their exuberance. 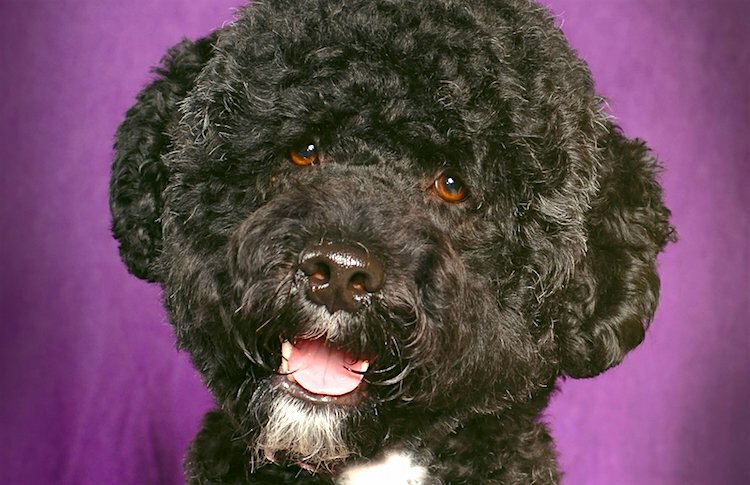 HIGH: A Portuguese Water Dog needs both physical and mental stimulation to be satisfied. Take long walks or jogs to help yours expel some of that energy. They also love to swim and will happily play fetch for as long as you can. PWDs who don’t get enough exercise are likely to become destructive out of boredom. LOW: Brush your dog weekly. These coats shed little to no hair, making the dogs a good choice for those who have allergies. Many PWDs are groomed with either a lion clip or a retriever clip style. Trim the nails regularly to prevent overgrowth, splitting or cracking. There are many adoptable Portuguese Water Dogs in need of a loving home, so check with your local shelters and nonprofits. If there are no adoptable PWDs in your area and you look instead for breeders, be sure to investigate them to ensure they are not running a puppy mill.